The poetical masterpiece that confronts the inexplicable mystery of good and evil can be a companion on your own spiritual journey. 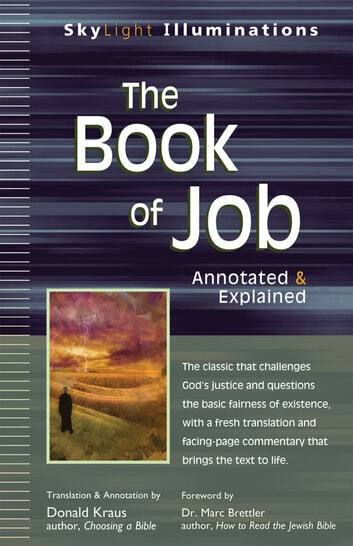 The book of Job, celebrated as a classic of world literature and one of the glories of the Bible, can often be puzzling and frustrating: puzzling for its dialogue form and off-putting because of the many questions it leaves unanswered. The book was written in a world very different from our own, and yet the fundamental questions it raises are still ones we grapple with today: Is it worthwhile to act for the best? Does life have a meaning beyond itself? Why do the righteous suffer and the guilty prosper? 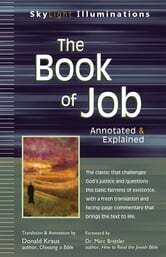 In this accessible guide to a spiritual masterpiece, Donald Kraus, the editor of the Oxford University Press Study Bible program, clarifies what Job is, helps overcome difficulties in the text, and suggests what Job may mean for us today. Kraus's fresh translation captures some of the finest poetry in the Hebrew Bible and uncovers the original author’s intent in a way that is accessible for modern readers and spiritual seekers. This inviting SkyLight Illuminations edition, with probing facing-page commentary, explores Job’s daring challenges to God’s goodness, asks questions about the basic fairness of existence, and offers compelling descriptions of the glories of the created world and the bitter sorrows of human life.